On November 14 and 15, 2018, an informal IUCN field visit to Romania’s Domogled – Valea Cernei and Semeneic – Cheile Carasului national parks took place upon invitation by IUCN member organisation EuroNatur. 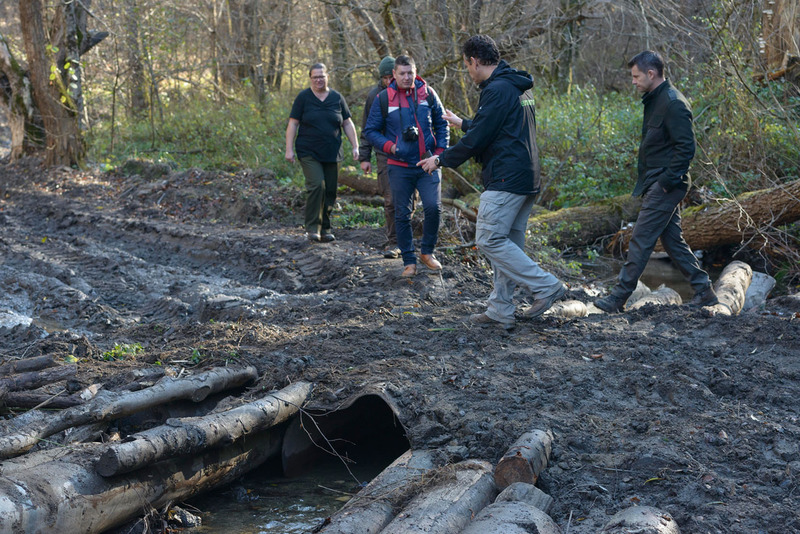 The background for this excursion is the growing concern among scientists and civil society organisations about the rapidly proceeding loss of virgin and natural forest areas in Romania due to proceeding industrial logging. Here you can read the report by EuroNatur. 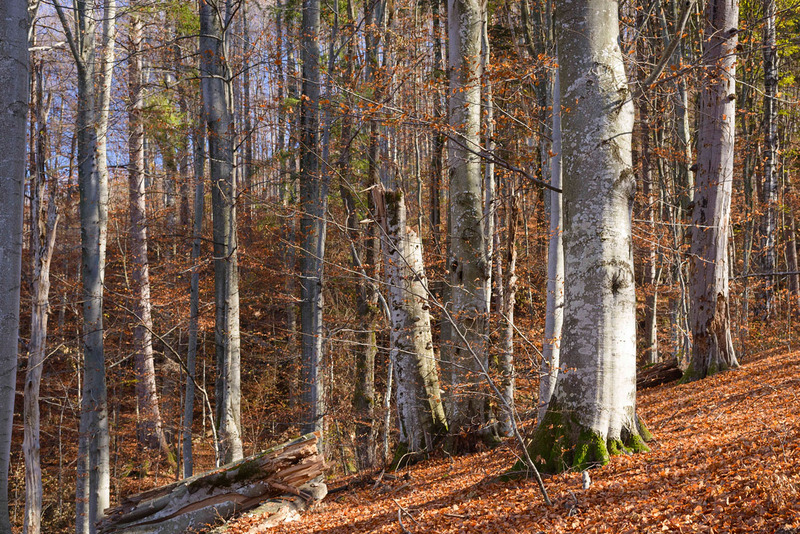 Romania hosts the largest share of virgin forest remains the temperate zone of Europe. However, conservationists and scientists are increasingly concerned about the progess of logging: NGO’s such as EuroNatur and Agent Green have been alerting the Romanian government, the EU institutions and the public about this major European environmental crisis. They especially criticized the destruction of virgin and other high nature value forests in protected areas such as Natura 2000 sites and the buffer zones of national parks and the UNESCO World Natural Heritage Site to protect primary and old growth beech forests in Europe. The field visit started in Domogled – Valea Cernei national park. Right in advance, before the trip the national park administration and Romsilva had been informed by a representative of the Romanian Wilderness Society that the IUCN Regional Director wants to visit Cernisoara natural forest (Radoteasa valley) and Iauna Craiova UNESCO World Heritage Site component part. 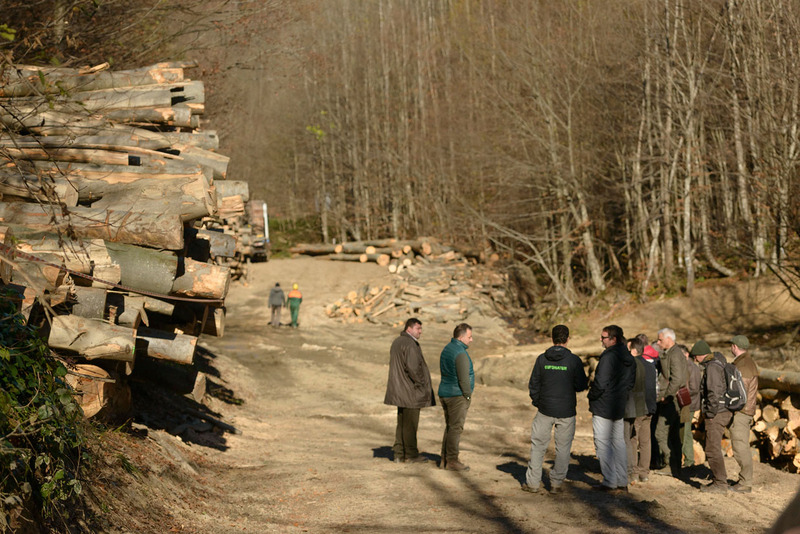 In both sites, intense logging has been reported to impact natural beech forest stands. Unfortunately, in the morning of November 14, neither a representative of the national park administration nor of Romsilva showed up at the agreed meeting point. This seems to have been a miscommunication but also the national park manager did not respond to phone calls to try to meet up either. So the excursion by IUCN and EuroNatur together with representatives of the NGOs Agent Green and Altitudine had to be started without the officials. On the way up the valley to Cernisoara forest the excursion participants passed the entrance of the valley leading up to Iauna Craiova UNESCO site. But the barrier was down and a forester guarding the gate refused to open it. Later, also the road into Radoteasa valley in Cernisoara “production unit” was blocked by a barrier. Nobody was waiting there. So the group walked the logging road upstream. After a few kilometres they found a large, muddy logging depot polluted with diesel oil and huge piles with logs of old beech trees. A logging tractor was waiting for more timber to be teared downhill. 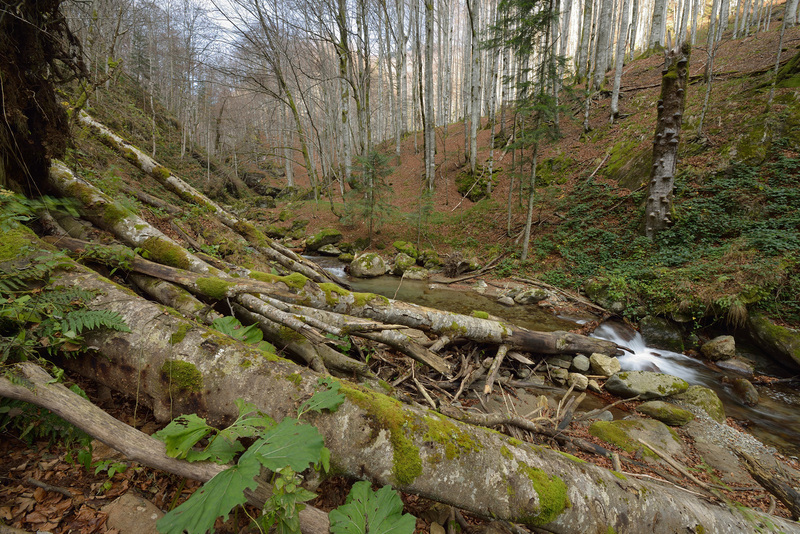 Radoteasa valley can be considered as an exceptional wild area, covered by natural beech forest of the same kind and structure like the forest included in the UNESCO site core zone a few kilometers away. Until 2017, no road led into the wild valley and its more than 1000 hectares of forest wilderness. “Not enough dead wood”: exclusion of natural forests from protection in the national park. In discussion with Member of the EU Parliament Thomas Waitz (in May 2018 in Domogled national park) Romsilva representatives argued that the natural forest in Radoteasa area has been assessed by an (unnamned) expert who allegedly “did not find virgin forest there”. They said, there “is not enough dead wood”. Therefore the forest is not “virgin” and logging is justified. However, neither IUCN guidelines nor Romanian law defines that only “virgin forests” should be protected in a national park. 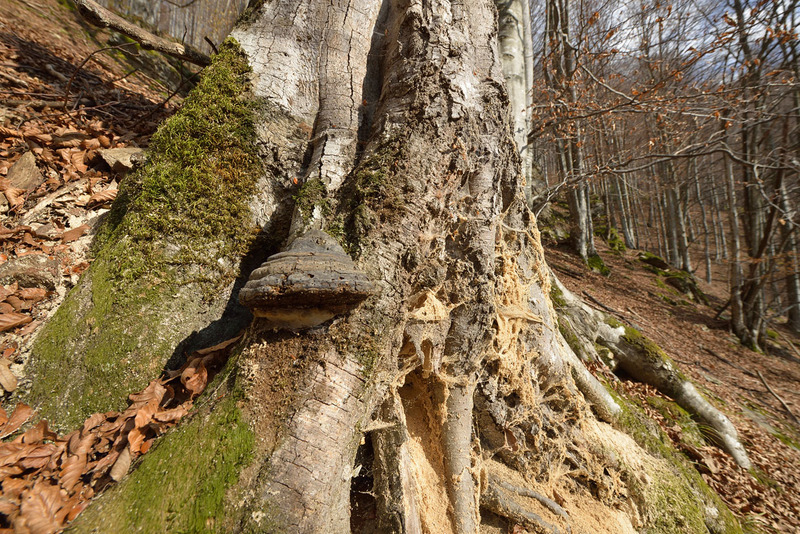 The excursion in November 2018 found large areas of natural beech forest with old tree individuals and dead wood. The still undisturbed and wild area is very large, a perfect situation for enlarging the non intervention zone of a national park. National parks are there to protect large natural ecosystems – regardless whether they are considered to be “virgin forest” (according to Romanian definition) or not. Only a fraction of the forest close to the tree line and a small fragment at the lower entrance are currently protected as part of the national park core zone. The rest is included in the buffer zone, which means that it will be logged sooner or later by „progressive cutting“ (=cutting all trees over a period of 10-15 years) or “conservation cutting” (= removal of trees to accelerate forest rejuvenation and increase income from wood harvest). At the end of the logging cycles, rarely any old tree will be left there. In autumn 2018, Romsilva published four forest parcels in forestry unit XI Cernisoara for logging in 2019 (2B, 25, 45B+C) on a website for auction. Two of them (45 B+C) have been put up for auction again in January 2019. Cernisoara forest wilderness in the middle of the national park. 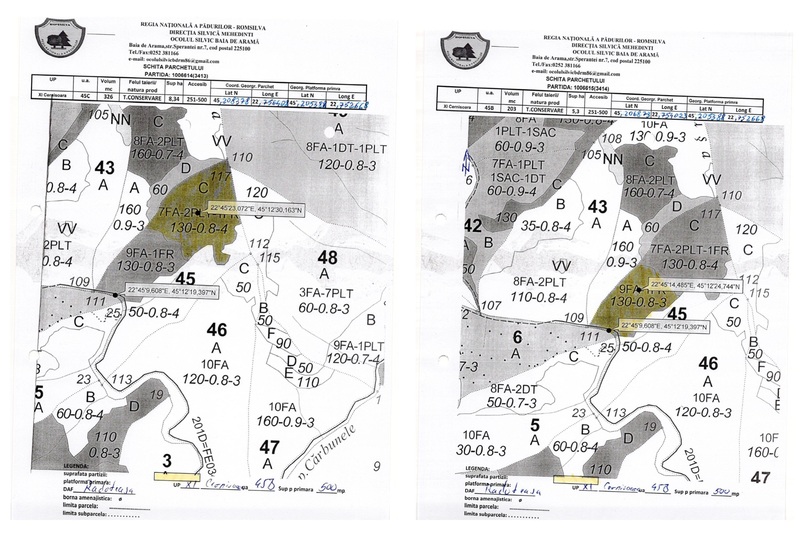 Green polygon: virgin forest mapped by WWF Romania; yellow polygons: forest parcels had been published on the website of Romsilva for auction (and logging) in autumn 2018 (from left to right: parcels nr. 25, 45 B + C and 2B). Parcels 45 B and C have have been published by Romsilva for auction in January 2019. Old growth beech forest with dead wood and ancient beech trees in parcel 45B: good for “conservation cutting” in 2019? Historic CORONA-image (1968) proofs that the Radoteasa – Carbunele valley complex was covered by intact natural forest without any signs of previous logging. Upstream of the logging depot Radoteasa valley is turning into a scenic, wild gorge with natural beech forest. 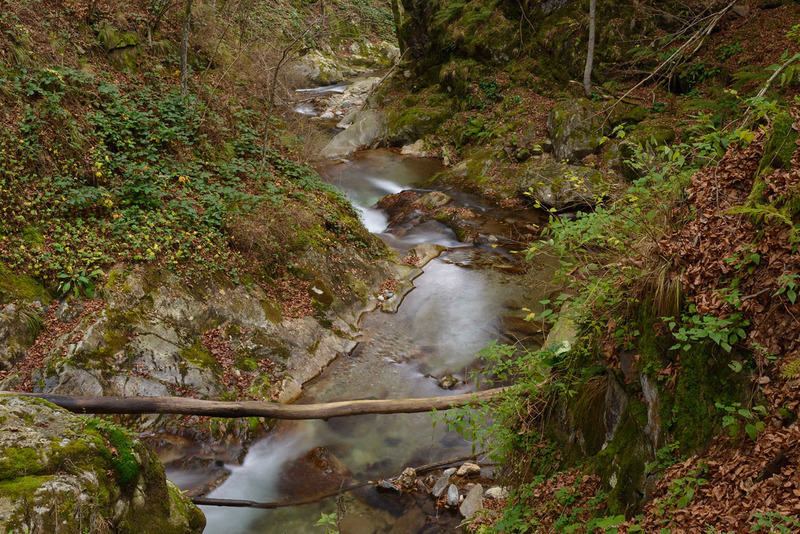 The stream is leading up to forest parcel 25, which has been mapped by WWF Romania as “virgin forest”. The beech forest at the slopes appeared to be of natural structure and composition – with dead wood and large and old tree individuals. A member of the NGO Altitudine presented a map showing plans for a new logging road through the remote gorge to get access to parcel 25. “Not enough dead wood”? Forest wilderness in Radoteasa valleyt. 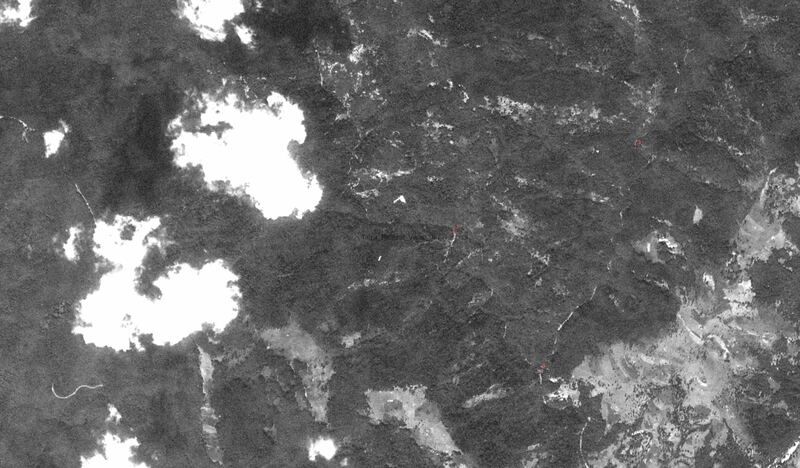 In autumn 2018, state forstry Romsilva published forest parcel 25 (in the wilderness upstream form this view) on their website for logging auction. During another field mission in May 2018 with MEP Thomas Waitz Mr Dragos Mihai (Conservation Director Romsilva) has announced that the forest in Radoteasa valley „could be protected“ – eg. by including it into the core zone of the park. However, a few months later, Romsilva published four parcels in this area for logging auction… At the same time there is no progress regarding the announced improvements of protection. At the entrance of the Radoteasa valley (close to road 66a) a small fraction of beech forest has been included in the national park’s core zone. This natural forest does not differ much from the forest upstream. It appears likely that the decision what to include in the core zone was not based upon strict scientific criteria. The core zone of the national park in the upper Cerna valley (northern section of the park) almost entirely consists of alpine meadows and pastures. Most of the forest in this part of the national park is considered to be production forest by Romsilva. Two UNESCO World Heritage Site component parts – Iauna Craiova and Ciucevele Cernei – are located there, but lack any stringent connection by other protected areas or corridors. 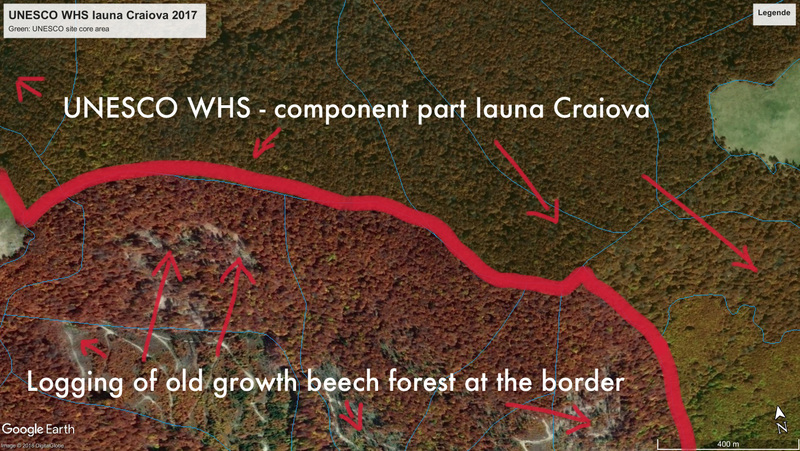 Romsilva pursues „progressive” cutting and “conservation” cutting there which could lead to the complete liquidation of all natural forests stands in the buffer zone, if the management plan stays as it is now. 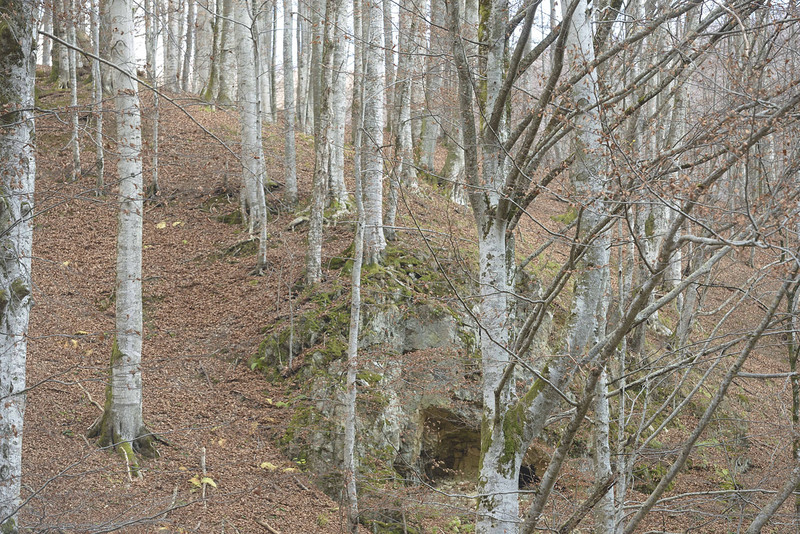 Logging of natural beech forests is already very close to the boundaries of the UNESCO World Natural Heritage component parts Iauna Craiova and Ciucevele Cernei (see images below). 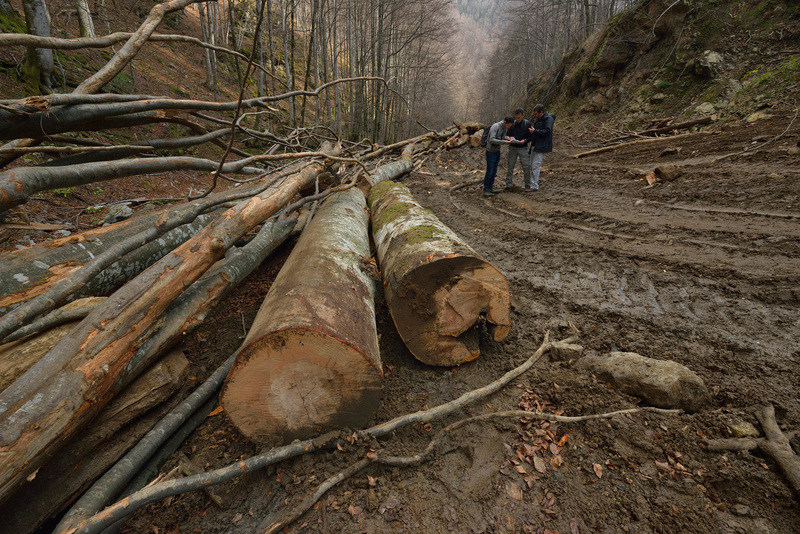 Logging of old growth beech forest at the boundary of Iauna Craiova UNESCO World Heritage Site component part. The whole Domogled national park is designated as UNESCO site, but most of it is just considered as “buffer zone”. All old growth forests in the “buffer” will be logged progressively, according to the management plan. 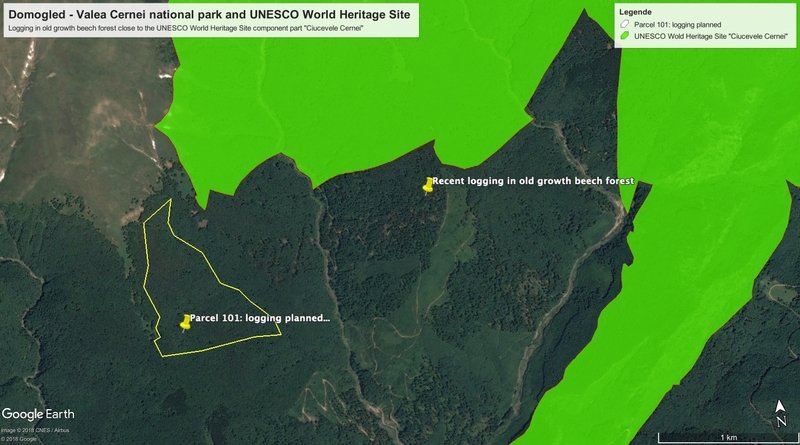 Logging close to the UNESCO World Heritage Site component part “Iauna Craiova”. 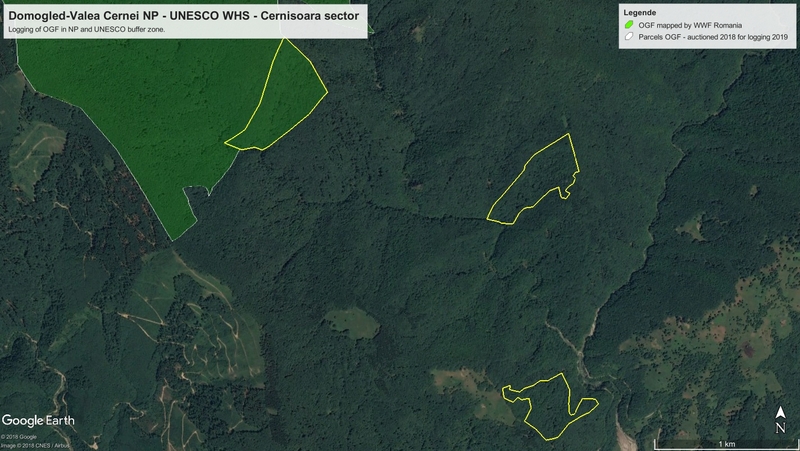 Logging close to the UNESCO World Heritage Site component part “Ciucevele Cernei”. 20 years ago most of the side valleys of Cerna river were covered by large tracks of natural beech forest. Today, there is logging in all those valleys and large virgin and natural forest areas have been compromised by intensive cutting. 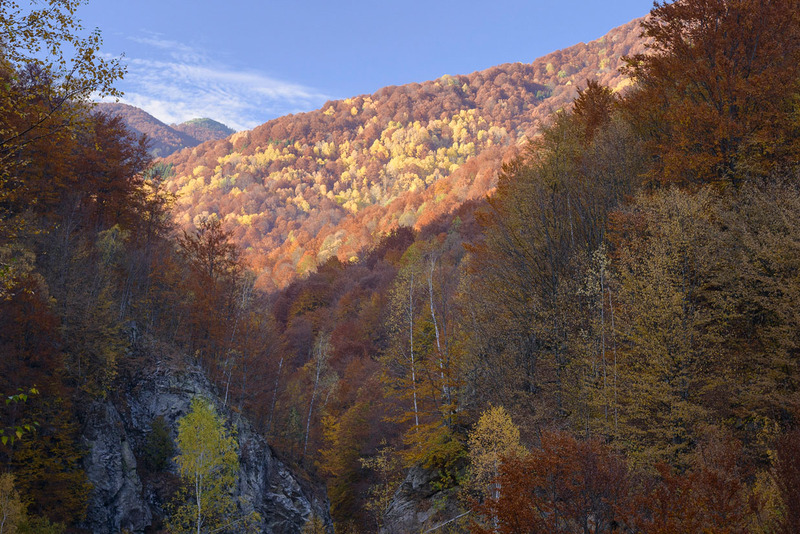 The inclusion of Cernisoara (and neighboring Iovan) natural forest complexes into the national park’s core zone (and / or into the UNESCO core zone) would ensure protection of the remaining high nature value beech forest and safeguard proper biodiversity connectivity. In late afternoon, the next destination was the small and remote village Prisacina, which is located in the “buffer zone” of Domogled National Park. They villagers mainly live on subsistence: livestock and small scale farming. Some of the forests surrounding the hamlets – Prisacina, Inlet, Scacisoara and others – have been modestly used as a source for firewood (coppicing), others remained largely untouched until today due to the steepness of the slopes and gorges. In early 2018 Romsilva intended to build roads in this remote part of the national park and to start industrial logging. 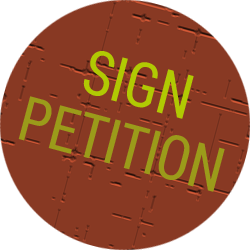 Residents opposed these plans and civil society organisations collected more than 10.000 signatures. Finally, Romsilva decided to suspend the logging temporarily. The landscape around these villages is an extraordinary example of an ancient peasant land with rich biodiversity and exceptional beauty. NGOs Altitude and Agent Green argue that the landscape should be protected as it is – including the traditional, small scale substistance agriculture by local peasants and wild forests patches out of use. Any industrial exploitation of resources should be banned permanently in the national park’s management plan. Development of modest nature tourism (such as hiking / trekking) could support the local communities of the hamlets. The hamlet of Prisacina in Domogled national park (image from May 2018). The ancient mixed cultural and nature landscape is of outstanding beauty and conservation value. The second day was mainly spent within the Nature Reserve Cheile Carasului, which is embedded into the national park. Its conservation status and its boundaries are under dispute between Romsilva and Romanian conservationists. On this day, Romsilva did lead the excursion into the park. Parcel 46 in production unit 10 is a mixed stand of beech forest including also patches of old growth beech forest with dead wood and different ages incl. ancient individuals. Here, Romsilva applies „conservation cutting“ which implies an average extraction of 5 cubic meters each year. Romsilva officials explained that they extract groups of old trees including „ugly trees“ to stimulate regeneration. On the long run all old trees will be removed and no habitat for dead wood bound species will be left in this part of the national park. Old growth beech forest residual in forest parcel 46 in production unit 10. “Conservation cutting” will progressively result in removal of the old trees in the forest parcel. A few kilometers away, in Toplita valley, Romsilva and park officials guided into an area with „progressive cutting“. This method results in a complete removal of all old trees over a period of 10 to 15 years. Usually three consecutive cuttings are pursued. At the end, the forest age will be minor and all „habitat trees” will be gone. River crossing of a tractor road in Semenic national park. The improvised “bridge” seems recent and the tractor tracks through the bed of the forest stream are still visible. Crossing rivers with logging tractors is not legal. However, in Toplita valley some old growth beech forest remnants and aged individuals are still in place. All of them were already marked for logging. During the field visit, workers were cutting large trees just a few 100 meters away. 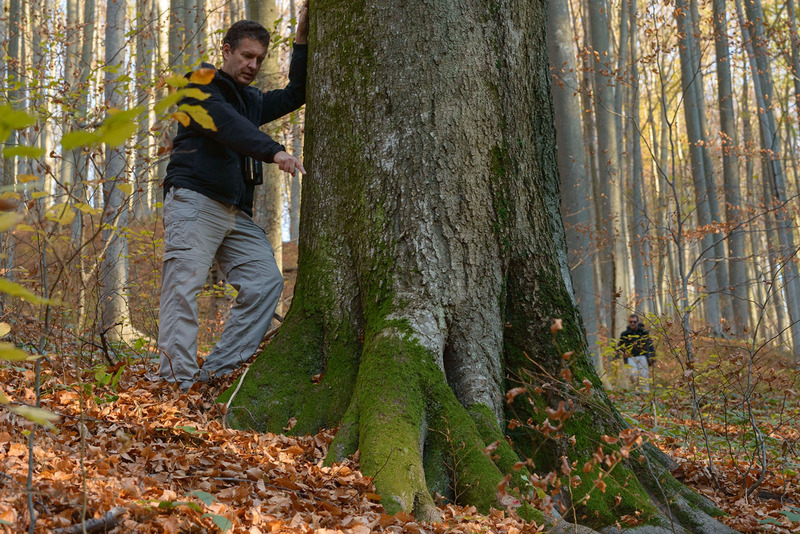 Gabriel Schwaderer (CEO of EuroNatur Foundation) pointing at markings for logging on a very old beech tree in Toplita valley. The whole area is under manegement regime of “progressive cutting”, which means that all trees will be removed stepwise, including old growth trees. Semenic and Domogled National Park have been also designated as European Natura 2000 sites. Under the provisions of the EU Habitat and Bird Directives degradation and deterioration of habitats have to be avoided and environmental checks have to be conducted before any „plan or project“ in implied, such as logging. Mr Mihai explained that in those national parks no explicit Natura 2000 „appropriate assessments“ (environmental risk assessment under Natura 2000) were done. All environmental asseessments have been included in the management plans of the national parks. He also admitted that in the (large) areas under „progressive cutting“ regime no further regulations to protect habitats or species are applied. In these parcels all forest is being cut step by step in the logging cycle as determined by the forest management plans, which is “legally binding”. 1. It seems that the state program to protect virgin and old-growth forests from logging („National Catalogue of Virgin Forests“) is not reaching desirable results: Mapping of forest stands is left almost exclusively left with volunteers such as NGOs. There are reports by NGOs that the Technical Commission in the Ministry for Water and Forests in charge of checking expert studies about virgin forests and including them into the „Catalogue“ has not followed up timely and thus leaving indicated areas for too long out of the catalogue. Many studies seem to have been rejected, also because of procedural bureaucratic reasons. At the moment only 21.000 hectares are included in the Virgin Forest Catalogue. Expert studies about several 10.000 hectares have been submitted, but it is not clear what will happen to these in the near future. Thus, more immediate follow up by the government is necessary to secure protection of very valuable sites. 2. Romanian National Parks are largely not following IUCN guidelines with regard to the zoning concept. If management plans are in place, core zones in almost all cases are smaller than 75%, in many cases even smaller than 50 % of the total surface of national parks. There is no road map existing how to reach the 75 %-recommendation for non-intervention areas. As in almost all national parks high nature value sites are under immediate threat of deterioration or degradation (e.g. by intense logging), the enlargement of non-intervention zones, in particular to include old growth forests, should be considered as a matter of urgency. 3. 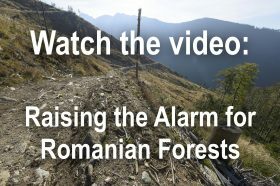 In the large buffer zones of the Romanian national parks high nature value forests obviously clearly suffer from progressive and conservation cutting. The forestry practices in the buffer zones do not seem to differ from industrial logging sites outside the parks. These forms of industrial forest management do not comply with the primary conservation objectives of national parks, which have been established to preserve (among other objectives) large scale forest ecosystems. 4. The management of the national parks is with the state forestry enterprise Romsilva. In conversations during the fact finding mission managers showed a strong orientation towards conventional forest use and management principles. 5. Progressive and conservation cutting is also taking place in old growth forest stands in close vicinity of the core areas of the UNESCO World Heritage Site „Primeval and old growth beech forests of the Carpathians and other regions of Europe“. Romsilva seems not yet to have considered specific forest protection measures within buffer zones of the UNESCO World Heritage Site. 7. 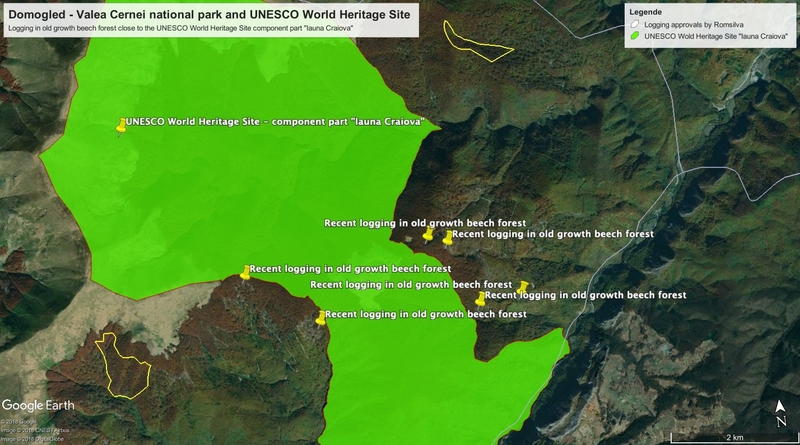 The core zone component parts of the UNESCO World Heritage Site „Primeval and old growth beech forests of the Carpathians and other regions of Europe“ are increasingly isolated due to progressive logging and thus impair biodiversity connectivity and the ecological integrity of the site. Much of the forest located within the „buffer“ between the World Heritage core areas appears to be planned for logging in near to middle future if the management plans of Romsilva will be further implemented. 8. 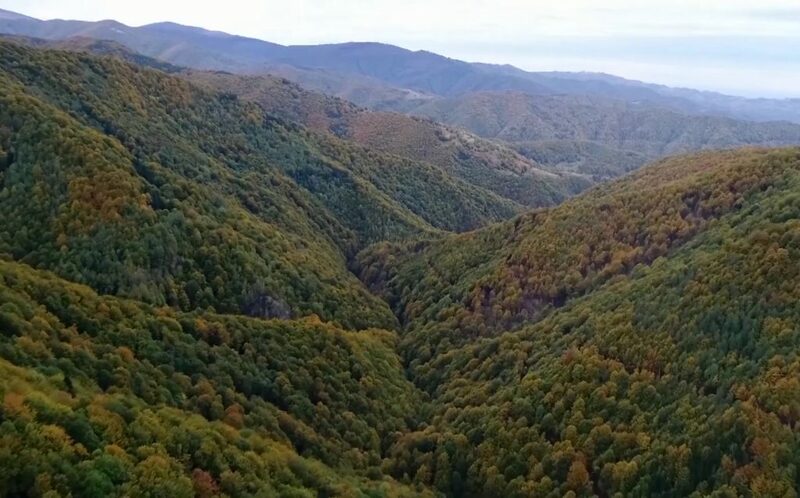 In the other valleys between the component parts „Iauna Craiova“ and „Ciucevele Cernei“ numerous old growth forest stands are still intact or only initially degraded (by first phase of thinning). The enlargement of the national parks core zone including all these high nature value forest stands in the several side valleys would ensure proper connectivity. Huge pile of recently cut beech logs in Toplita valley, Semenic national park. – The national parks of Romania cover 317,000 hectares, which is the equivalent of 1.3% of the Romanian territory. Romania hosts approximately 7 Mio. hectares of forests (according to the latest National Forest Inventory). – All forests included into National Parks representing approximately 240,000 hectares, equivalent to 1 % of Romanian territory and about 3.5 % of Romanian forests. In the core zones of Romanian national parks approx. 120,000 ha are under strict protection including large areas of alpine grass- und rockland. – 12 out of 13 National Parks are administered and financed (and therefore determined) by the state owned forestry enterprise Romsilva. The majority of the National Parks has been established after the year 1990 and all of them have been legally „declared“ in the years 2000 (Law Number 5 of March 6, 2000), 2004 (Government Decision No 2151) and 2005 (Government Decision Number 1581). – Zoning does not comply with IUCN guidelines: In the majority of national parks, core zones („special conservation zones“ which usually comprise: “zona de protectie stricta” and “zona de protectie integrale”) and „buffer zones“ (so called „sustainable use zones“, comprising: “zona de conservare durabila” and “zona de conservare durabila parcele limitrofa”) have been defined. Only one national park (Jiu Gorge) meets the IUCN target of 75% strict protection without interventions. All other national parks have „core zones“ with smaller perimeters, many even less than 50%. – IUCN definition of national parks (protected areas “Category II”): “Large natural or near natural areas set aside to protect large-scale ecological processes, along with the complement of species and ecosystems characteristic of the area, which also provide a foundation for environmentally and culturally compatible spiritual, scientific, educational, recreational and visitor opportunities.” The “primary objective” is: “To protect natural biodiversity along with its underlying ecological structure and supporting environmental processes, and to promote education and recreation.” Economic activities should be limited to tourism and “subsistence resource use” by local communities, “in so far as these will not adversely affect the primary management objective”. – IUCN rule for 75% strict protection in place since 25 years: IUCN defined already back in 1992 (World Congress, Caracas) and published in “Guidelines for Protected Areas Management” (IUCN Commission on National Parks and Protected Areas with assistance of the World Conservation Monitoring Centre, 1994): ” At least three-quartes and preferebly more of the area (= national park; annotation) have to be managed for the primary purpose; and the management of the remaining area must not be in conflict with the primary purpose.“ This guideline is also applicable for national parks which have been developed earlier. Facsimile of the IUCN “Guidelines for Protected Areas Management”, published in 1994. 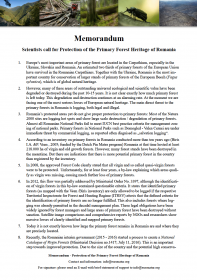 – However, Romsilva repeatedly claims, that the “75% rule” by IUCN was not known when the Romanian national parks were planned. At the moment, 25 years after the IUCN “Guidelines” were published, there is still no roadmap in place in Romania to comply the IUCN guidelines. – Buffer zones are logging zones: In the so called „buffer zones“ intense logging (with heavy machinery, large scale logging infrastructure, big openings of the canopy, removal of large amounts of timber and stepwise complete liquidation of old growth tree stands) is frequently present on huge surfaces, as various reports of NGOs such as Agent Green and also scientists reveal. 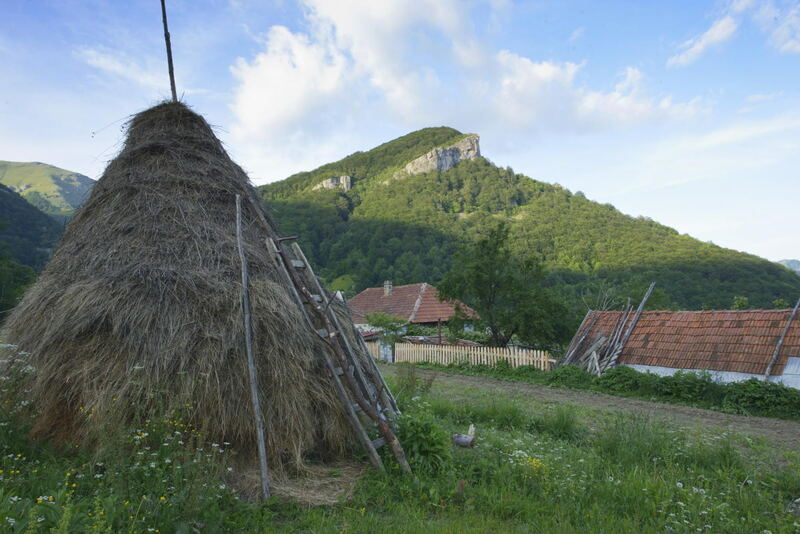 – The current exploitation of natural resources in Romania’s national parks is largely not „traditional activities” by local communities. Intense forest management is obviously mainly not persued by the „communities in the area of the national park“, but by commercial logging companies which are ususally based outside the national parks who also bring along their workers. Radoteasa valley in Domogled – Valea Cernei national park (October 2017): A huge area of forest wilderness with an outstanding nature value which deserves comprehensive protection..